The Paine Art Center and Gardens has a number of places where you can have a wedding ceremony. Most brides and grooms choose to have their wedding outside in the garden. 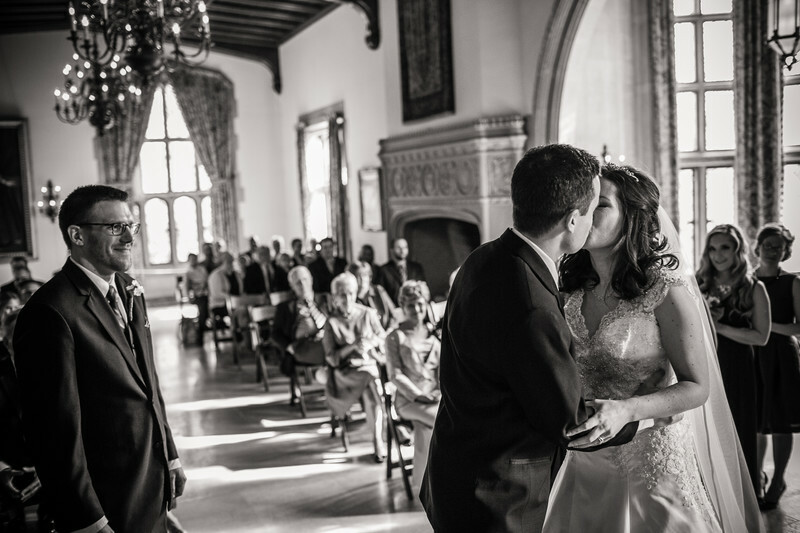 During cooler times of the year the great hall sometimes has weddings. I've been fortunate to have photographed several ceremonies inside the mansion. The bride here wanted the first kiss with all of the guests in the background. Normally I would not do this as I try to avoid going in front of the guests but with the OK of the officiant and the bride I did. I am happy with how the photo turned out.